Today, we’re pleased to announce the “Gateway to the West”, Saint Louis, Missouri, is available for modeling in Google Building Maker. 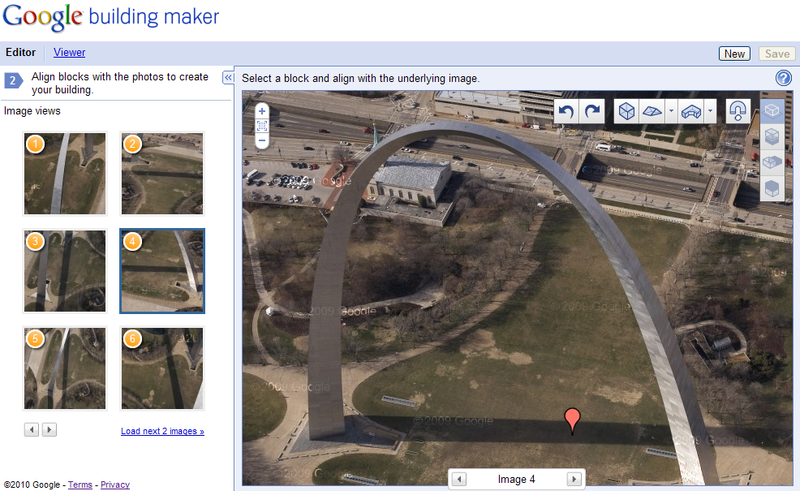 Building Maker is a fun, easy-to-use 3D modeling tool for adding 3D buildings to Google Earth. 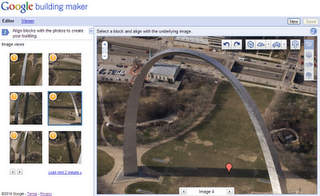 Choose St. Louis from the drop down menu and then pick your location to start modeling with photos that we provide. Please keep in mind that even if a 3D model already exists in the the “3D Buildings” layer in Google Earth - the best model wins. To see the existing 3D models, click on the Earth button in top right corner. If you can improve on what’s already there, here’s your chance!